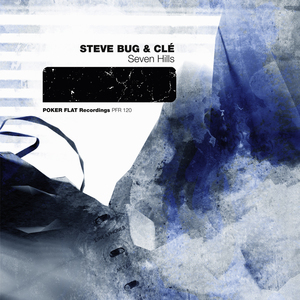 Steve Bug may be influenced by the sounds of classic house, but on this EP the Poker Flat owner shows that he and Cle have their own vision. Therefore, while the title tack revolves around a predatory bass, a succession of techy stabs pushes it into a breakdown, while the icy chords have an unquestionable spine-tingling effect. Similarly on "Monkey Shoulder", the duo borrow the driving, crashing snare drums from Chicago and the evocative pads sound like pre-disco Morgan Geist. Ironically, although it forgoes using Chicago's jacking past, "Shadows" is most in keeping with the city's past. In particular, the prowling bass and almost dainty, delicate melodies are reminiscent of classic Larry Heard.